Makes bending by moving ram via synchronized 2 servo motors pulling belts on pulleys. Return of ram is by springs. There is no need for an hydraulic oil to operate the machine. There is no any hydraulic system equipment such as hydraulic filters, sealings, etc. Thus the maintenance cost is very low comparatively. On the other hand there will be no any working environment pollution due to hydraulic leakages. 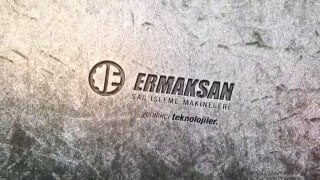 FX Servo is Ermaksan’s green press by its silent working and low energy consumption. Energy consumption is 50% lees compared to hydraulic press brakes. More accurate bending results are achieved due to equal bending force along the ram. Thus, there is no need for crowning. It is O type frame without throat depth which is more rigid and increasing bending accuracy. Full length bendings can be done between side columns. There are no obstructions such as at hydraulic press brakes. Sliding front support arms assist the operator for easy handling of bending material. Flip stops in a T slot and mm/inch ruler on arms ease the measuring and positioning the sheets. The backgauge is 4 axes. X:800mm, R:250mm, Z1 and Z2 axes can gauge full length material. All backgauge axes are servo motorized which provide fast and accurate positioning. 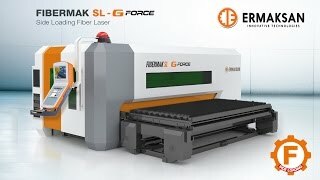 Yarım asrı geride bırakan Ermaksan, geleceğe emin adımlarla ilerliyor. 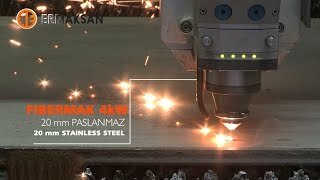 Hassas ve en son teknolojiye sahip CNC tezgahlarla donatılmış fabrikamız, uzman mühendisler gözetiminde yıllık 3.000 adet sac işleme makinesi üretme kapasitesine sahiptir. 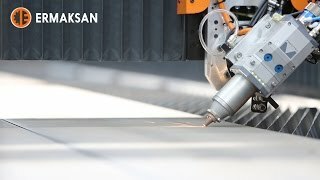 Sektöründe dünyanın lider kuruluşlarından biri olan Ermaksan’ın makineleri 70 ülkede, güçlü teknik servise sahip seçkin bayiler tarafından temsil edilmektedir.